If you’re also taking a break from your summer sport I would definitely recommend a class like this — Remind yourself that you don’t need to take fitness so seriously all the time. For triathletes, going to a pool might not be your first choice for offseason cross training but when it’s a class like this, it was like showing the pool who won… it didn’t break us and to prove it, we’re going to show off and have fun. Or maybe that’s just the way I think?? Pool – 0, Allison – 1, Aquabase – 2. 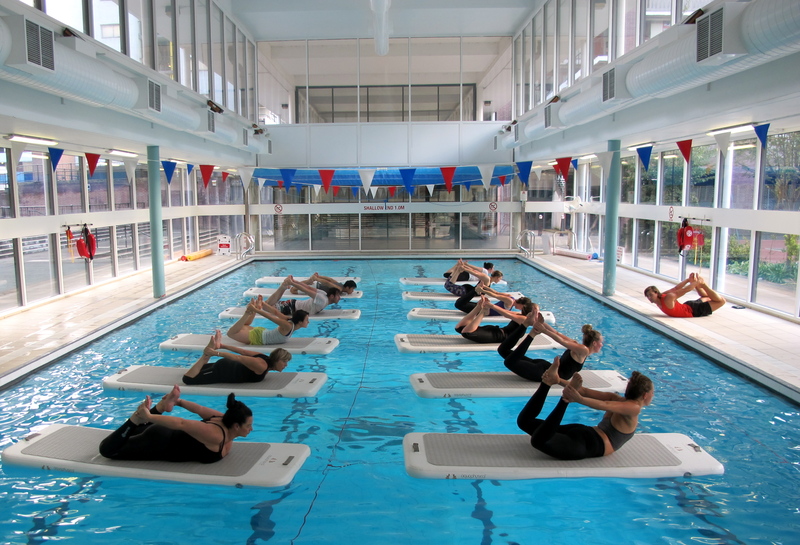 The Aquabase is a responsive mat that highlights any imbalances in posture and strength, suddenly making movements much more complex. Be prepared to get wet because no body makes it out dry. You start the class by slipping into the water and climbing up on your board. As soon as everyone is up on their boards, you’re instructed to do jump squats and all sorts. 30 minutes doesn’t sound like a long time but you’ll be glad it’s only 30 minutes by the end. The workout is tough. Nothing is stable and the waves created by everyones movement makes your platform even more unpredictable. Throughout the class, if it’s not you that fell in, you’ll be hearing crashes and splashes constantly! I think there was a fall within the first 30 seconds. 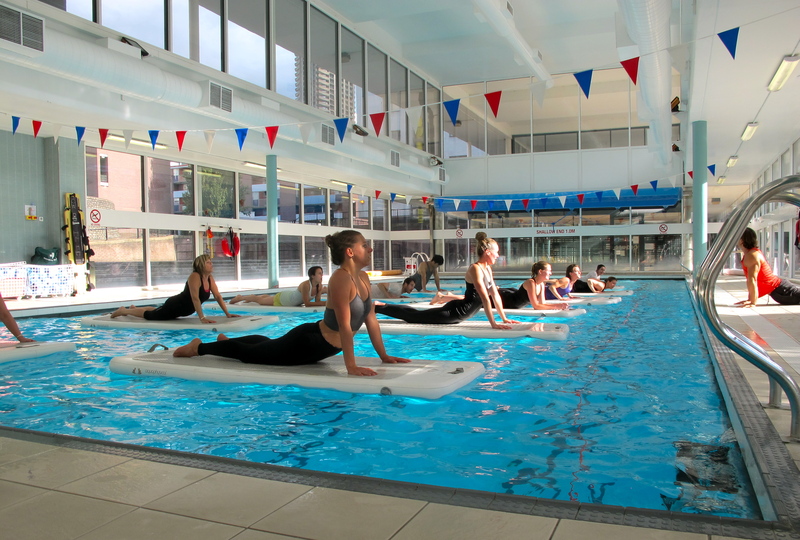 I had such a fun time with Aquaphysical yesterday – I’m still buzzing from it! Cannot wait to try it out again. If you’re interested, there will be more pop up classes coming up around London. Best way to find out when is to email info@aquaphysical.com and follow their Instagram for updates. You’ll definitely have to come to London and test it out! Roughly how many calories are burned during this class? Same as metafit/ grit cardio?